It’s fact that relationship works and get succeed cause of love and mutual understanding, well love is fact, it doesn’t conquer all, and it’s a misconception that if we love someone, everything else will work itself, but love alone is not enough for making a relationship perfect and success, common understanding is also an essential thing for it, because sometimes it’s happen that we love someone and think that that one has same as our views but we bring some misconception in our mind, because it’s not essential that, our beloved share the same characteristic, passion and hobbies and cause of this difference, making a relation perfect and succeed becomes a bit of hardest thing. Well, As a human being, we all wants to have a successful and healthier relationship, that’s why we put our effort to make our relationship healthier but along with this, its fact that ups and downs is normal in a relationship, therefore, to sustain happiness and healthier relationship we need to works it, and keep openly and honestly communication and have equal right in a relation, responsibility and accept difference of both to each others. 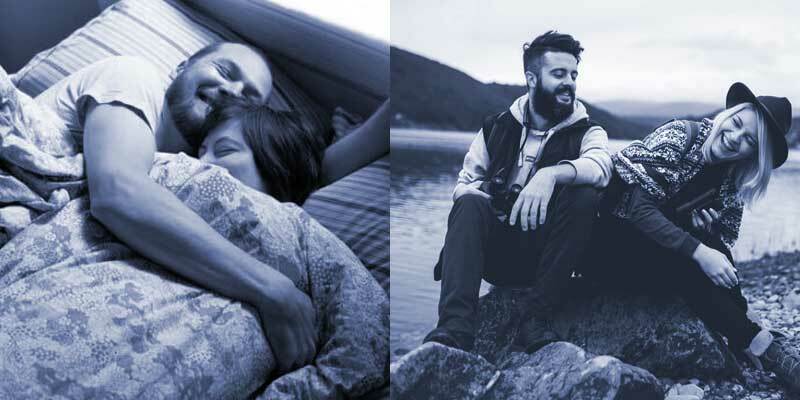 but over time of a relationship, at some stage, we recognize that we are nothing like our companion, it doesn’t matter how much we are in love with each other’s, but love is not enough to make a relationship perfect and strong, so now thing is that, how to accept your companion differences for relationship success. Mostly, in a relationship situation is occur like you are too much in love with your companion but you can’t accept difference of your partner, because sometimes, it’s happens that when you are in love, you will forget difference of your partner but when you are in relationship you will sudden remember that difference and gradually that difference will lead conflict and discord in a relationship, in such circumstance make a relationship success and works is become critical. Once a while, in a relationship, we realize that foundation of our relationship is stony, therefore, everything will go wrong, by the way, we loved to each other’s along with this we want to happy with our companion, love is the only one way to grow a relationship, and make it succeed. So we shouldn’t have focused on differences and make our relationship works and succeed with love because this is one of the great uniqueness, which has the power to forget all difference and fulfill their remain space. Sometimes, in a relationship, we faced some critical circumstance cause of that we lost our self-esteem and our relationship is start doing downs therefore difference occur in front of us and we seem to like our relationship will not get succeed and works, if this circumstance ever occurs in your relationship and you want to save your relationship then make consult with a specialist. No matter how many similarities and differences you have, but if you genuinely want to make your relationship works, succeed then here are some tips give cause of that you will able to make your relationship works and success along with the differences of your companion. Communication, probably you heard or you would have felt that lack of communication lead lots of issues in a relationship, and it brings conflict in a relation, so keep open and healthy communication with your better half, because of that your relationship will go smoothly no matter how much you have a difference to each others. Do something together, often over time of a relationship, we get busy with our works cause of that we forget to spend time together and this lead misconception in mind, and sometimes couple don’t show they are angry towards their partner, and gradually, it take a big role in a relationship and it causes harm in a relationship, so just spend time with your companion and make a plan together, and do something special for his/her. Accept difference of your companion, sometimes, the couple can’t accept the difference of their partner and this lead major issues in a relationship because of that their love is also fade up, therefore, accept a difference of your partner and enjoy your relationship with that difference and make your relationship works and succeed.